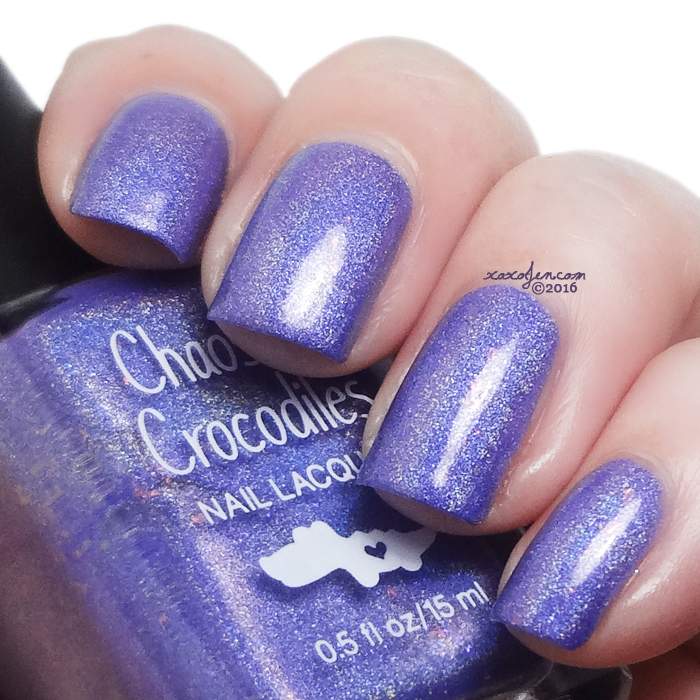 Sarey of Chaos & Crocodiles sent a special polish gift to me to brighten my day. It was a surprise, and I can see that she put a lot of thought and time into making it especially for me. 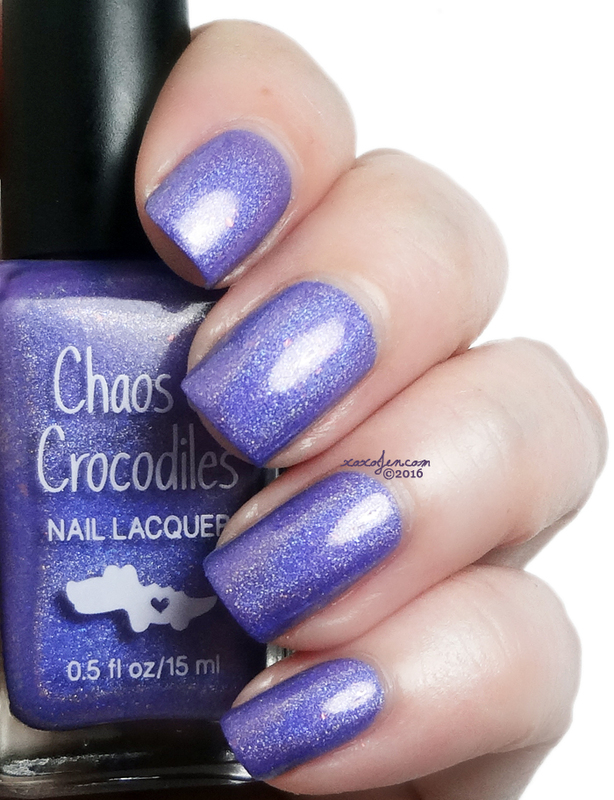 I love the lavender shade of purple and the holo / coppery flakie finish. The labeling is a sweet sentiment, a single purple heart shaped sticker that sparkles. The formula is fantastic, smooth, opaque in one coat. I love the bottle, cap and brush too. 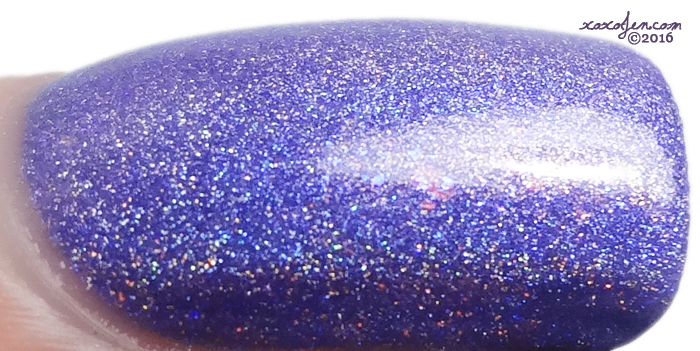 If you haven't tried a C&C polish, you absolutely should on next restock. Thank you again for your generosity and thoughtfulness to me, a complete stranger. I will never forget how much you care, and that you helped lift my spirits during a difficult time. I agree! And thank you for the compliment! Such a nice color this is.